A garden themed restaurant venue perfect for intimate celebrations like First Birthday Party, Corporate Party, and Social Gatherings! The Mellow Garden is located at the F Block of South City -2, in Sector 50, Gurgaon. The venue can be easily approached through a 13-minutes drive, at a precise distance of 5 km, from its nearest metro station- Huda City Centre, the terminal station on the yellow line of DMRC. 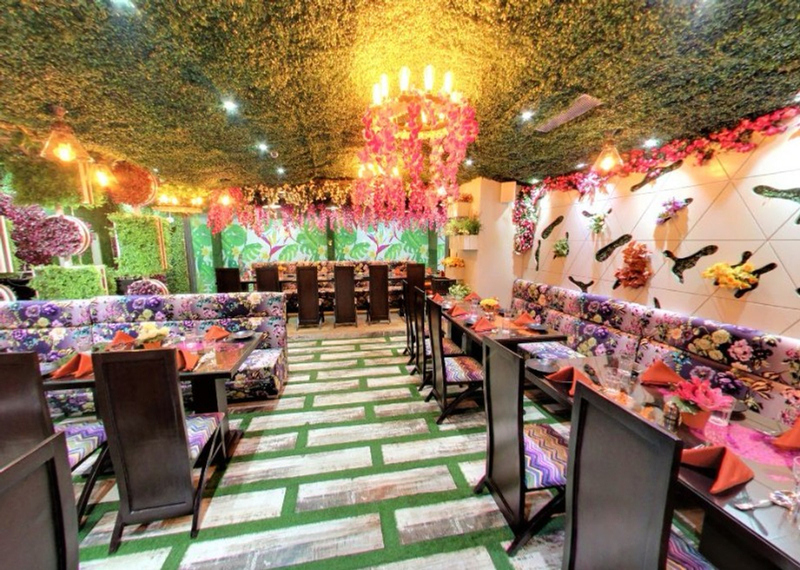 When it comes to the ambience, The Mellow Garden stands up to its name with a garden themed ambience. The restaurant has both indoor and outdoor areas for your celebrations and offers a range of recreational activities for kids. The Mellow Garden offers a wide variety of both vegetarian and non-vegetarian delectables from the most preferred cuisines like North Indian and Chinese. The service is prompt and the staff is highly cooperative. The Mellow Garden is well-known for its Garden themed ambiance and is well suitable for First Birthday celebrations! Celebrated my 6-year-old kids birthday party at The Mellow Garden and right from the ambience to the food, everything was up to the mark. Our event expert Aditya had been highly patient with our venue-search!